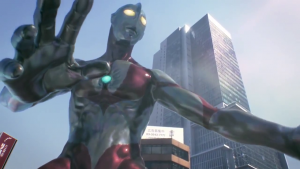 Enough news to warrant its own episode, including a slick new CGI Ultraman was teased this month! It’s an all news episode! I knew that the Pulgasari Daikaiju Discussion was going to run really long if we were to tack the news onto it, so we split the episode in two. I think it makes more sense to do this but I’m a weirdo sometimes. Please let me know if this is a better option than a nearly three hour podcast (because that’s what we would have been looking at!). There have been so many kaiju-related things happening these days, and we don’t even cover all of them in this episode. Perhaps it’s best to consider these the cherry picked stories. After listening to the episode, if any of these piqued your interests, make sure you check out the links in the show notes below — and go watch Hail To The King if you haven’t yet! Hail to the King: 60 Years of Destruction has been released! Shout! Factory’s Kaiju Movie Marathon (hosted by August Ragone) was incredibly cool!